An Emirati perfumery claims it has created the most expensive perfume in the world. 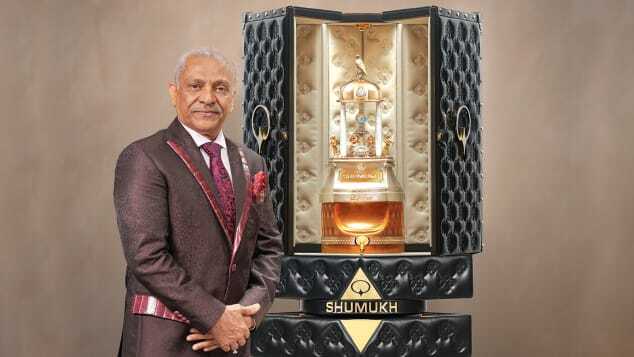 Called Shamukh — “deserving the highest” in Arabic — and priced at a nostril-flaring $1,295,000 for three liters, its makers say it’s the product of three years of research and 494 perfume trials. It comes in an Italian Murano crystal bottle, which is adorned with a gold falcon, Arabian horses, roses and a globe, contains 3,571 diamonds — 38.55 carats in total — giant pearls, two kilograms of 18-karat gold and over five kilograms of pure silver. What’s more, the bottle sits on a cushioned leather stand nearly two meters tall. Creators The Spirit of Dubai, part of luxury fragrance brand Nabeel, say the bottle’s bejeweled animals and the perfume’s ingredients, pulled from different corners of the world, tell the story of Dubai. There are other expensive one-off creations. In 2011, DKNY launched the Golden Delicious Million Dollar Fragrance Bottle, made from yellow and white gold and covered in 2,700 diamonds and 183 yellow sapphires. 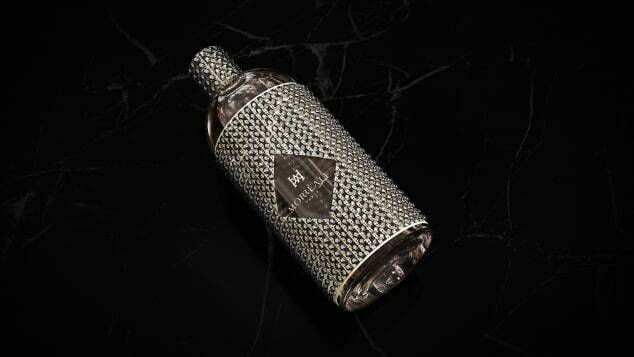 Billed as “the world’s first million-dollar fragrance bottle” and containing a petite 100 milliliters of perfume, the bottle was not commercially available, instead sold at auction with profits going to charity. DKNY today is unable to confirm how much it sold for. 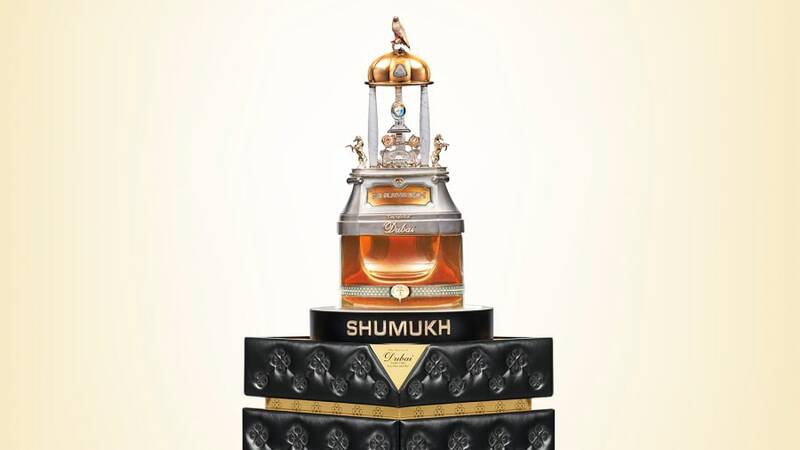 Despite Le Monde sur Mesure’s higher price tag, Shamukh is more expensive per milliliter ($431.70 vs $360), and The Spirit of Dubai is claiming a world record by this metric.